London, UK: Do you believe in Santa Claus? From a marketing perspective, the question is moot because his brand is very much alive nonetheless – everyone knows Santa. Children all over the world recognise his face and what he stands for thanks to one big marketing campaign. He’s a phenomenon and you can learn from his success. Effective learning means learning from the great industry leaders, and in terms of marketing, Santa Claus is among the best in spreading his brand, make followers happy, establishing trust and creating growth. 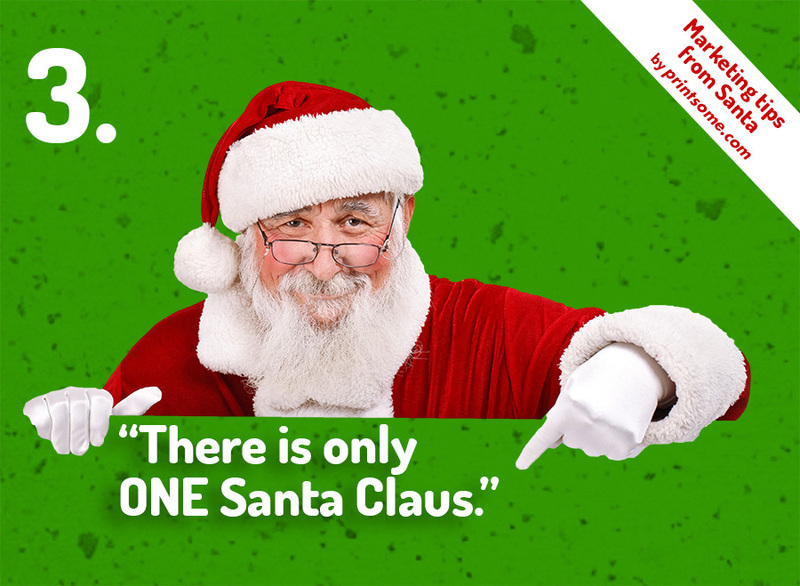 The Best Marketing Lessons We Can Learn from Santa Claus! Oh boy, are we happy to rip the wrapping paper off our presents on Christmas morning! But when you reflect on it, Christmas is about more than just gifts. Santa Claus sells cheer, hope, inspiration, the desire to give back and do good. Christmas is happiness, shared joy, culture, tradition and coming together. Use the power of inspiration in your marketing to sell more than just products – create an experience for your customers. Santa delivers. Freezing temperatures, snow, ice and blizzards won’t hold him back, you can rely on Santa to deliver the good to everyone in just one night. You might have presents or a lump of coal coming your way, but either way Santa keeps his promise year after year. Is your business just as reliable, or are you letting your customers down? No one is expecting a reindeer-powered sleigh from you, but don’t make promises you can’t keep. Include customers in the loop and let them rate how reliable your service is to identify areas where you can improve. During the holiday season, Santa is everywhere. He can easily be recognised by his white flowing beard, red suit and catch phrase, “Ho, ho, ho!” Yet everyone knows that the Santa at the mall is not the real Santa, right? Santa Claus is as distinct as the Easter Bunny, the Yeti or the Loch Ness monster. He is an unmistakable symbol of his brand. How can your business stand out from the competition like Santa? Is your company one of a kind, with a unique image? Is your branding as instantly recognisable as Santa Claus? Santa writes one list and checks it twice, he knows who’s naughty and who’s been nice. But it’s a bit more complicated than that, isn’t it? He also has to know everyone’s wishes, the directions to their house and the optimal route to reach everyone. In marketing terms, that’s called segmentation, and St. Nick is the king of it. Be on top of your lists like Santa to attract quality leads and get the right message in front of the right audience. Harness the power of segmentation and constantly build and qualify your lists to reward loyal customers – and drop the naughty ones! You know the drill: you’re good all year and behave, you send off your wish list, and by Christmas morning Santa has delivered like a clockwork. It’s a crystal clear customer journey understood by everyone, regardless of your belief in the jolly fellow. But behind that simplicity is a powerful message: inspiration to be good and kind, and encouragement to give and do the right thing. Santa built his following on people trying to become their best selves, and he did so through the marketing of attraction, conversion, and retention. His mission is to delight and make an impact in our lives. Are you as customer focused as Santa? Is your business about revenue and achievements, or about giving people what they want? Aim to establish a relationship with your customers like Santa Claus and change their lives for the better. Santa is an organisational genius. His empire and delivery service operate with just 8 reindeer and a horde of elves. He literally holds the reins just a couple of days a year and relaxes the rest of it. Meanwhile, his marketing machine is run by the retail industry. Worldwide, it’s mums and dads who end up schlepping the gifts back and forth. And don’t forget the children! They’re the ones writing in with their wishes, year in, year out. Are your customers comfortable enough to give you their wish lists? Can you encourage them to stay in touch with you and provide you with enough data to understand and serve them better? Don’t have them write to the North Pole, though, but leverage technology like surveys, follow-up emails and tracking. Like Santa, you also cannot build your empire on your own. Systematise and automatise your marketing, delivery and customer service – like Santa, you don’t have to be involved in every single detail. I’ll bet my Christmas stocking that Santa was the first marketer to perfect the art of storytelling. Of course, there are countless stories and songs about him, but Santa is even greater than the sum of all these parts – he IS the story. He includes everyone, listens to people’s woes and wishes, enables them to share their emotions and inspires them to keep spreading the story. Santa has mastered communication so his message spans the globe. What story does your company tell? How can you communicate to connect people? Whether you have thought of Santa Claus as a marketer before or not, take a moment and think about how you can apply his above lessons to your business. For a mythical character, Santa’s marketing has a huge impact on our world, influencing the lives of millions of kids and the shopping behaviour of adults. A little magic goes a long way – how will you create it with your business? Happy holidays! Printsome is personalised printing agency delivering across the UK, offering t-shirt printing Bristol to t-shirt printing Liverpool, and everywhere else in the UK. For a nice chat about personalised clothing or simply want to say hi, contact us! Christmas jumpers to rock the office!